From the beginning, Raspberry Pi has been all about education. The idea that a piece of hardware everyone could afford in the hands of students used to learn programming skills and to build things was at the heart of the Foundation's mission to fix a problem in the education system in the UK. Soon it became apparent that the hardware was only part of the solution, and hands-on training for teachers would be needed, too. In the UK, prior to 2014, the subject of ICT (Information Communication Technology) was on the curriculum. ICT largely involved learning how to use the Microsoft Office suite, and contained no programming. In January 2014, the education secretary announced that ICT would be replaced with a new computing curriculum, which included the necessity for children as young as 5 to learn programming (starting with graphical environments like Scratch, moving on to text-based programming languages like Python). Unfortunately the government provided almost no money to retrain ICT teachers to prepare for the change, and most of them had little or no experience programming, nor a background in computer science. 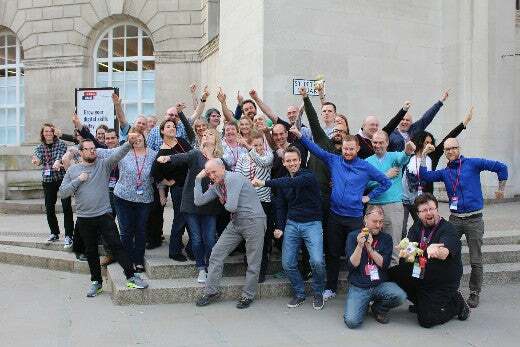 To provide the necessary training to up-skill these teachers, the Raspberry Pi Foundation launched Picademy: a free two-day professional development course. Places on the course were free, but places were granted to those with the strongest application—applicants with the most enthusiasm and will to pass on knowledge to others. 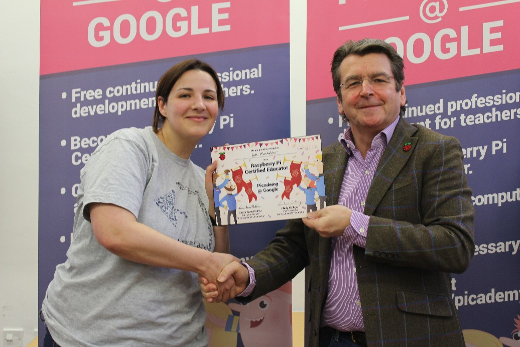 Picademy was launched in April 2014 by the Foundation's education pioneer Carrie Anne Philbin, a former computing teacher who won awards for her teaching practices, which included video content on her YouTube channel aimed at getting more girls into computing and programming, Geek Gurl Diaries. 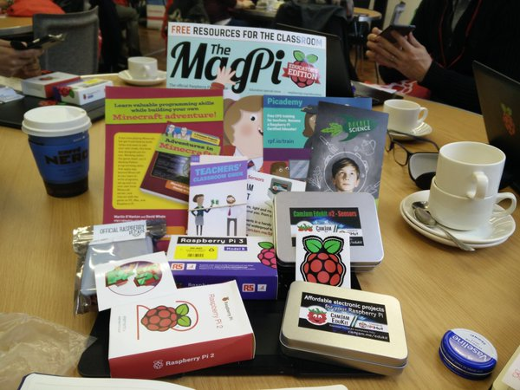 Since then, the Raspberry Pi Foundation's Education Team has run numerous training courses around the UK. Picademy has always been free to attend, and participants are given a swag bag containing a Raspberry Pi and a collection of accessories. Picademy involves a day of introductory sessions in Scratch, Python, and Sonic Pi, along with physical computing. The sessions are there to introduce each concept one at a time, as a chance for teachers to learn new skills and gain comfort using the environments and the equipment, and to think about how they might teach these things to their own students. The second day of training involves participants getting into teams and collaborating on a physical project, which really allows them to dive into more advanced code, putting together the mix of skills they learned on the first day. Google chose the Raspberry Pi Foundation, along with Code Club and other non-profit education organizations, to make use of the Google Digital Garage locations set up around the UK through 2015 and 2016. Google.org is funding these Picademy sessions to help the Foundation reach more teachers. Picademy is free; attendees just have to get to the venue. Educators around the world are welcome to apply, but they must make their own way to the UK. In February 2016, the Raspberry Pi Foundation took Picademy to the USA and held the first course for 40 American teachers at the Computing History Museum in Mountain View, California. The next Picademy USA will take place in April 2016, and applications are open now. Picademy is open to any educators, formal or informal. That includes classroom teachers, home educators, school network administrators, after-school code club leaders, youth leaders, and more. If you attend a Picademy, you're awarded with a certificate and badge—and the right to call yourself a Raspberry Pi Certified Educator. Teachers trained by the Foundation enter a network of certified educators and have the opportunity to keep in touch and continue learning from each other, to collaborate on learning resources and share best practices, to keep up with what's going on in the world of Raspberry Pi, and to get updates from the Foundation. I want to become a Raspberry Pi Certified Educator but live in Australia. How can I become one. Unfortunately Picademy hasn't reached that side of the world yet. We're working hard to establish what a quality training course looks like, and testing it out in the UK and USA (where our teams are based) and looking at ways to scale it to teach more teachers in these areas and around the world. The best thing to do is get involved in anything going on in your local community - I know of a number of Raspberry Jams in Australia, where Pi enthusiasts come together to share and learn from each other.